Adquiera Hoja de Arce Canadiense 2018 de 1 oz de doble incuso en nuestra tienda hoy para disfrutar del precio más bajo en línea. Las buscadas monedas canadienses de Maple BU representan un matrimonio armonioso de técnicas de acuñación innovadoras y de vanguardia y arte clásico y meticuloso. 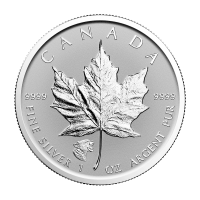 This edition marks the 30th anniversary of the silver Maple leaf and features the intricate Walter Ott maple leaf design which quickly catapulted this coin range to its position as a collector’s favourite. To set this edition apart, this masterpiece has been “struck in” or “Incuse”, into a starburst field of intricate, light refracting radial lines; it is also encircled by the coin’s country of origin, weight and purity. El efecto hundido de la acuñación incusa también está presente en el anverso, ya que es un retrato simplista pero hábilmente grabado de Elizabeth II, lo que hace que sea una moneda de doble incusa. Joining this incuse feature on the obverse, Elizabeth II’s name, the year of issue and the coin’s unique denominational value. 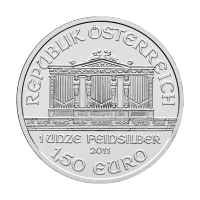 The novel striking method employed in this edition serves to make an already exquisite coin even more breathtaking and there’s no doubt this coin will enjoy above average investor approval. 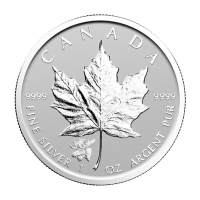 ¡Amplíe su cartera con esta edición especial de Hoja de Arce Canadiense y compre ahora su moneda de plata doble incrustada Hoja de Arce 2018 de 1 oz ahora! Anverso Effigy of Queen Elizabeth II and the words "Elizabeth II 5 Dollars 2018"
Reverso Maple Leaf and the words "Canada 9999 Fine Silver 1 oz Argent Pur 9999"
Maple Leaf and the words "Canada 9999 Fine Silver 1 oz Argent Pur 9999"
Moneda de Plata Doble Incuso Hoja de Arce Canadiense 2018 de 1 oz Adquiera Hoja de Arce Canadiense 2018 de 1 oz de doble incuso en nuestra tienda hoy para disfrutar del precio más bajo en línea. Las buscadas monedas canadienses de Maple BU representan un matrimonio armonioso de técnicas de acuñación innovadoras y de vanguardia y arte clásico y meticuloso. 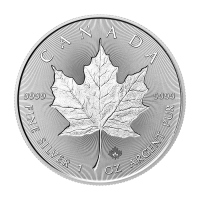 This edition marks the 30th anniversary of the silver Maple leaf and features the intricate Walter Ott maple leaf design which quickly catapulted this coin range to its position as a collector’s favourite. To set this edition apart, this masterpiece has been “struck in” or “Incuse”, into a starburst field of intricate, light refracting radial lines; it is also encircled by the coin’s country of origin, weight and purity. El efecto hundido de la acuñación incusa también está presente en el anverso, ya que es un retrato simplista pero hábilmente grabado de Elizabeth II, lo que hace que sea una moneda de doble incusa. 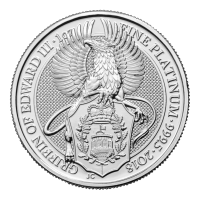 Joining this incuse feature on the obverse, Elizabeth II’s name, the year of issue and the coin’s unique denominational value. 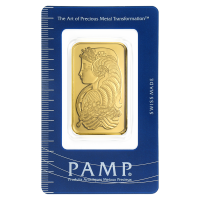 The novel striking method employed in this edition serves to make an already exquisite coin even more breathtaking and there’s no doubt this coin will enjoy above average investor approval. 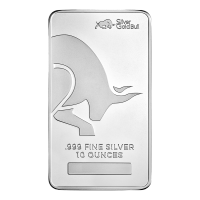 ¡Amplíe su cartera con esta edición especial de Hoja de Arce Canadiense y compre ahora su moneda de plata doble incrustada Hoja de Arce 2018 de 1 oz ahora!